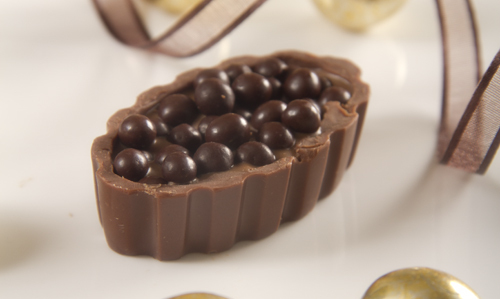 Pralines with chocolate passion hummed from our hearts to yours. And since we have vowed not to compromise quality, we never use ready-made fillings. You can choose to have biscuits, caramel, nuts, or chocolate cream, and in all cases, our fillings are made for delight one bite at a time. In addition to our classical chocolate assortment, we developed a new collection of flavored and colored chocolates, and a wide series of panned products coated with love and endearment. We also would hate to miss telling you on our famous French Marons Glacés & Truffles as well as our coveted American cookies & cakes.